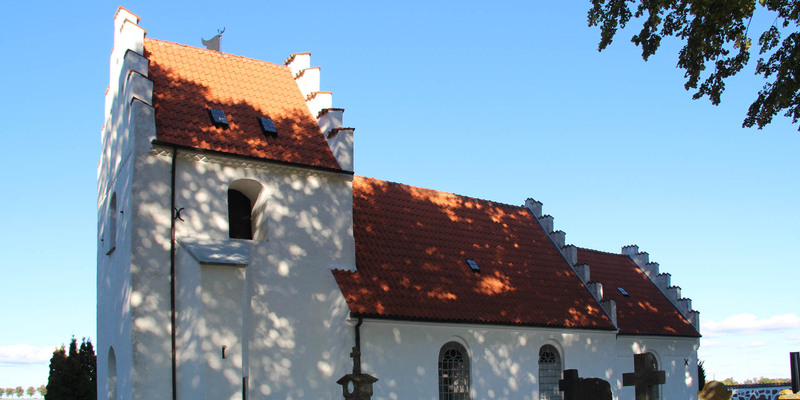 The small Dalköpinge Kyrka is located in the settlement Dalköpinge on the northern outskirts of Trelleborg. 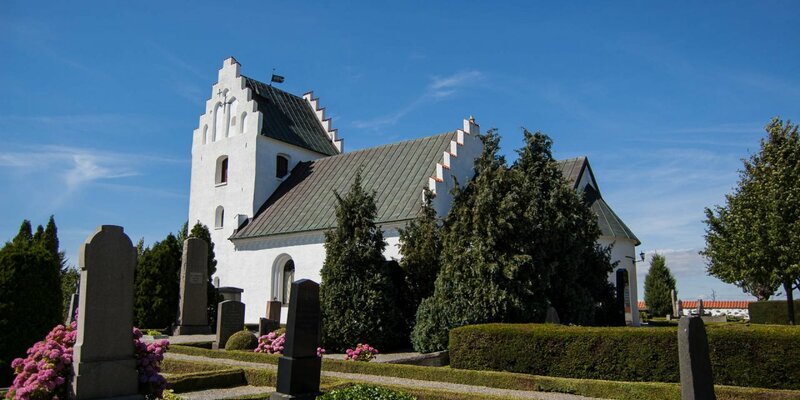 The church has not been changed over the past centuries and still looks exactly like in the Middle Ages. 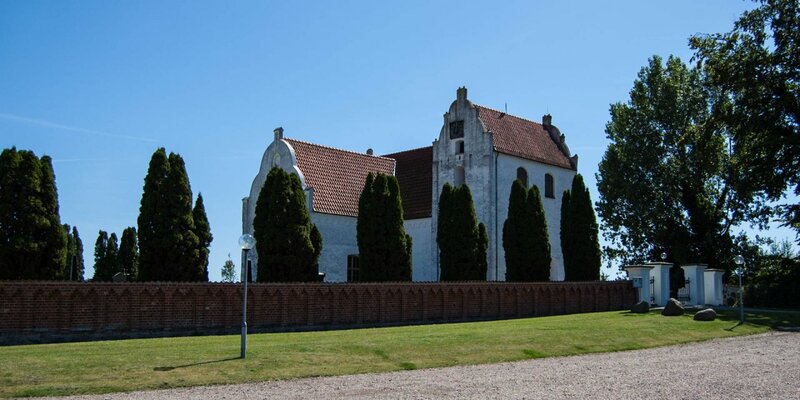 Dalköpinge Kyrka was built in the 13th century and is one of the first churches in the region, whose brickwork does not concists of fieldstones but brick. The only change made to the church, was the installation of the impermeated church tower in the later Middle Ages. Inside the church are the remains the medieval ceiling paintings, which were discovered and exposed during renovation works in 1937 . The baptismal font made of sandstone is adorned with symbolic ornaments and is as old as the church itself, while the pulpit and the altarpiece are dating to the late 16th century. Actually the small church should no longer exist, if it had been according to the will of the priest in the 19th century. 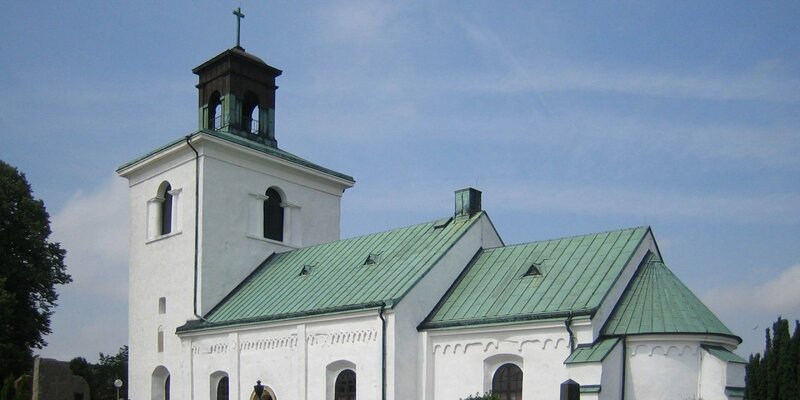 He wanted to demolish the church, because the population in the area was too small. Fortunately, this did not happen and today it is one of the oldest brick churches.